Congratulations on your engagement!! Now regain your composure and call your parents. Tell them the good news first. Then send a mass text to all of your family and friends!! The 'proper' way would be to hold an engagement party and formally announce your engagement, but let's face it...technology has changed all of the rules! So here's an idea....tell your friends and THEN have an engagement party and 'formally' announce your engagement!! I highly recommend hiring a wedding planner (hint...hint) to help you with the logistics (date, location, theme, budget, style, etc.) of your wedding. As your Bridal consultant I will guide you through every minor and major detail of your wedding day. 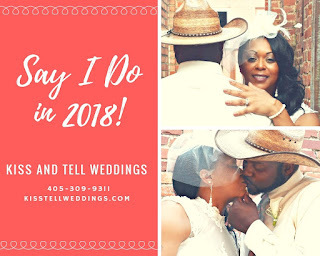 Once you, your fiancé, and I have discussed the logistics of your wedding, both of you can sit back and relax knowing that your wedding day will be in the hands of a professional. On the day of your wedding, I will get you and your future spouse down the aisle on time, troubleshoot any mishaps, oversee your vendors, and ensure that your day goes as smoothly as possible. From your engagement until the last dance, Kiss and Tell Weddings will be there every step of the way!